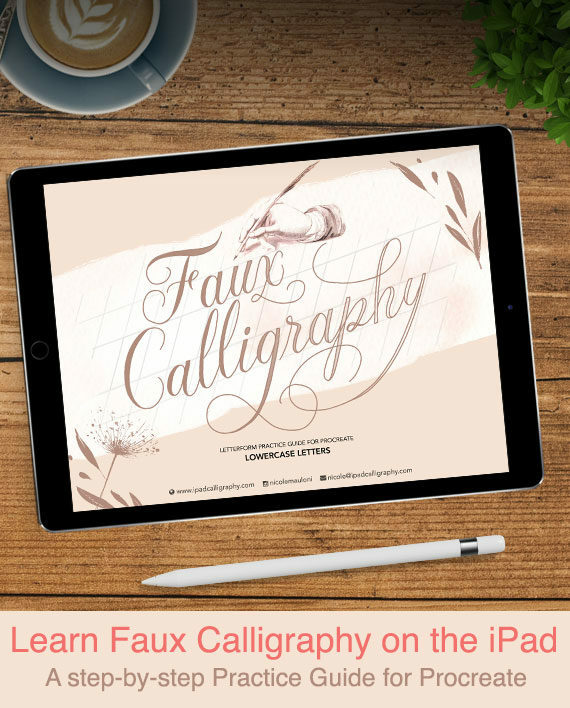 Learn how to create a real calligraphy look on the iPad without the need for pressure sensitive brushes or complex Apple Pencil mastery. 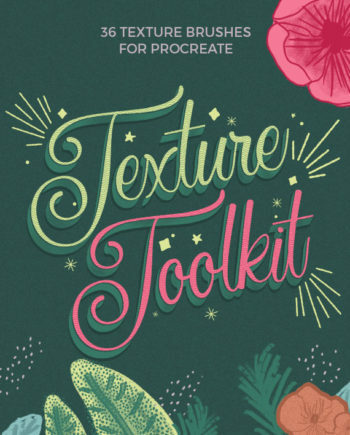 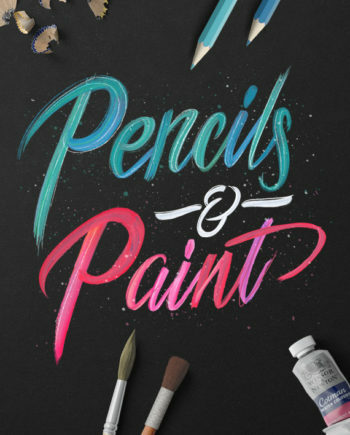 This faux calligraphy guide for Procreate breaks down the step-by-step elements that make up each letterform so you know exactly where to start and which direction to follow to build your letters. 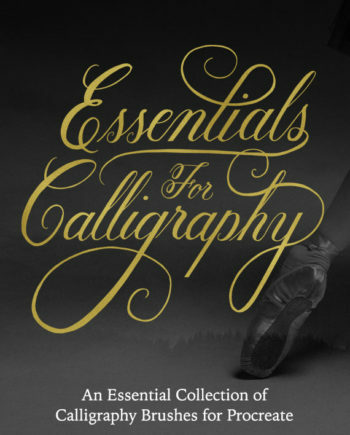 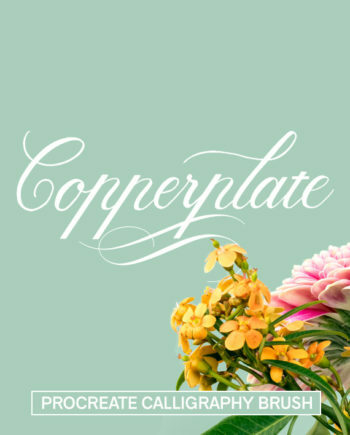 Subtle guidelines in the background keep you on track with letter proportions and consistency. 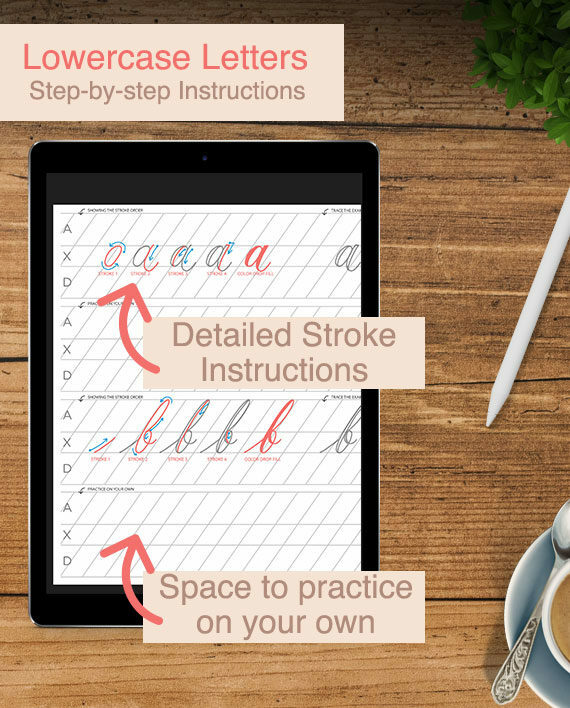 There are multiple tracing versions for each letter to build muscle memory, then blank space is provided below so you can practice on your own while still referring to the instructions. 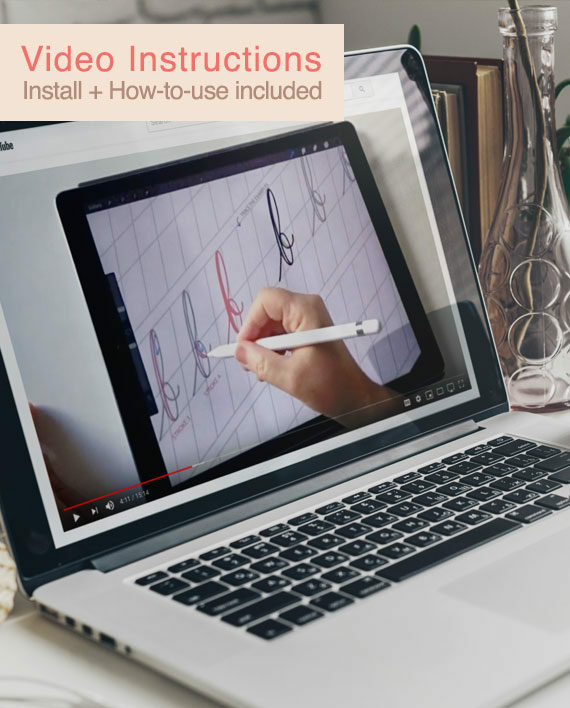 Once you are feeling confident, there are blank guide sheets included to practice without reference. Even if you’re new to Procreate, there’s video walkthrough included to get you up to speed with all the necessary interface actions you’ll need to know. 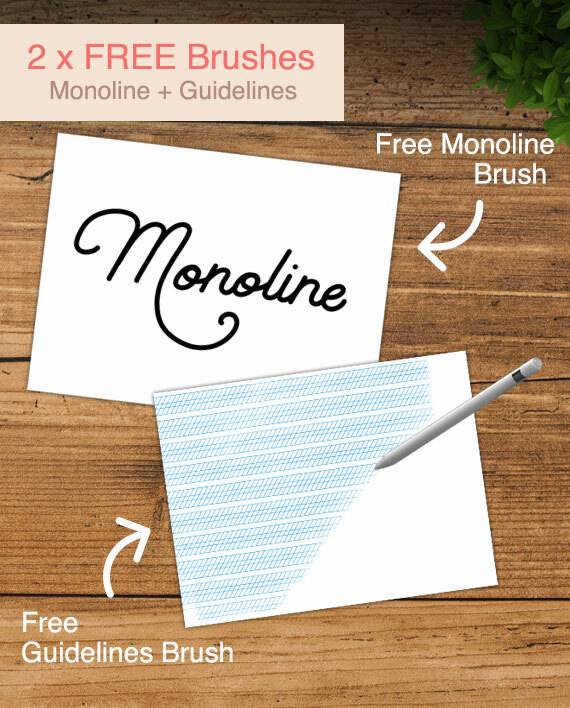 Taking full advantage of Procreate, there are helpful Pro-tips included, making this faster than you could ever do IRL. 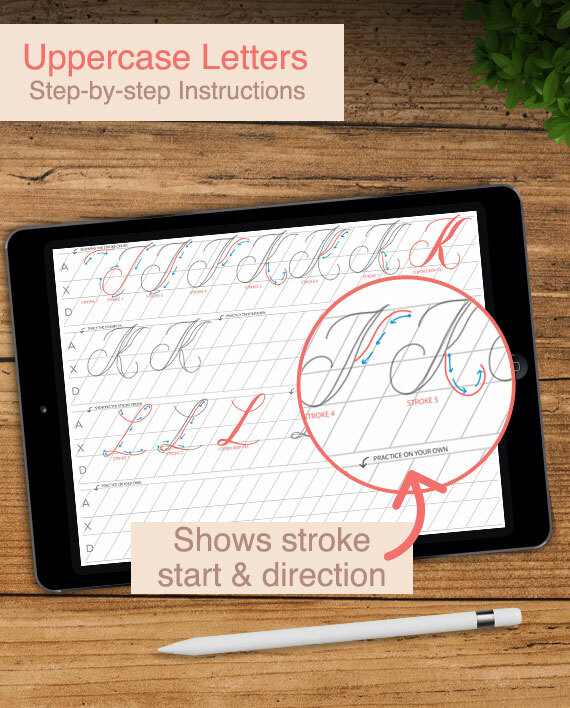 Once you are familiar with the letters, you can ease into writing words with the full letterform swipe file! 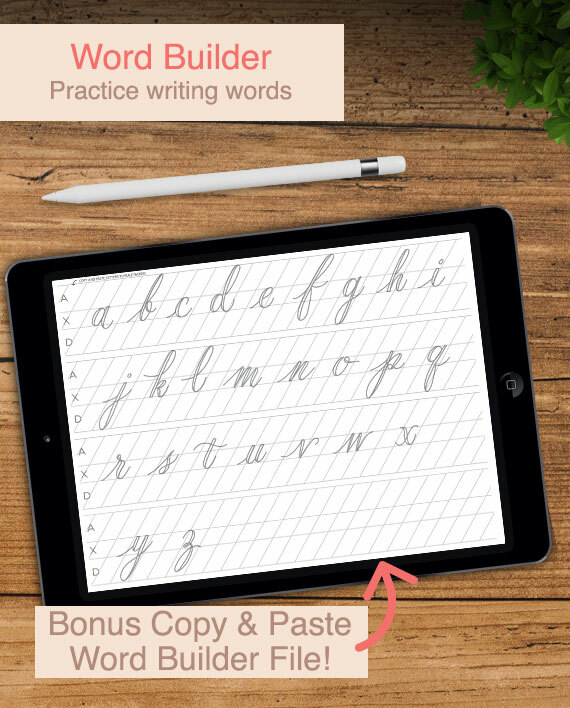 Copy and paste the letters and build words to strengthen your skills.